AUSTIN, Texas — Health officials in Texas have announced that they will move forward with implementing a rule requiring the burial or cremation of aborted babies instead of the current allowance under the law to dispose of the dead children as medical waste. According to the Texas Tribune, the rule was finalized on Monday and is set to take effect on Dec. 19. Abortion advocacy groups have decried the requirement, calling it a part of the so-called war on women, and have threatened litigation. “These new restrictions reveal the callous indifference that Texas politicians have toward women,” Center for Reproductive Rights attorney David Brown told reporters this week. But Gov. Greg Abbott, who had requested that the Department of State Health Services construct the rule, opined that babies shouldn’t be treated like garbage. And while some had argued that the rule would increase costs for abortion facilities and hospitals, and possibly thus increasing costs for abortion-minded mothers, the state health department said that the cost shouldn’t be more than what facilities are currently paying medical waste disposal companies. As previously reported, abortion facilities customarily contract with third party medical waste companies to dispose of the aborted babies, which are usually classified as “pathological waste.” The containers of aborted babies, mixed in with boxes of bodily fluids, tissues and other items that are not permitted to be thrown in the trash, are then transported to an incineration plant where they are burned into ash and then dumped into landfills. Sometimes abortion facilities fail to label the boxes for incineration and the children are therefore transported to autoclave sites where they are only steam cleaned before being transported to landfills. 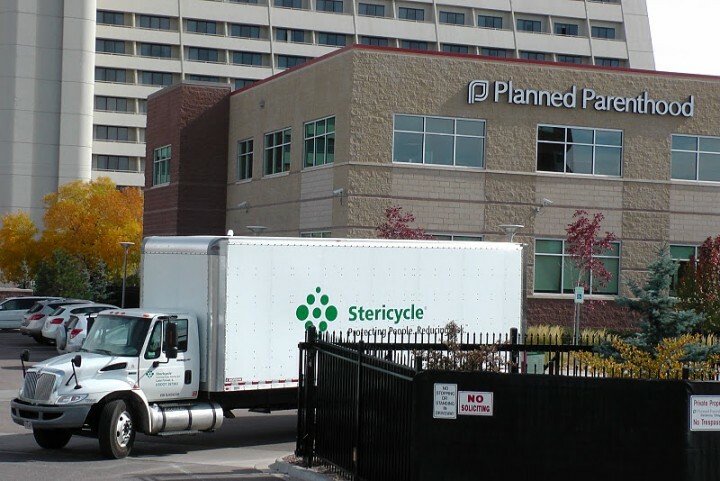 As previously reported, and as outlined by the Campaign to Stop Stericycle, the medical waste company Stericycle was fined $42,000 in Texas in 2011 for dumping fetal remains from Whole Woman’s Health in Austin with household and commercial trash. “When Stericycle arrives to transport the medical waste, the individual fetuses are removed from the freezer and placed into another large red biohazard bag. The red biohazard bag containing the fetuses is placed into the medical waste box along with other medical waste generated at the facility that requires treatment,” it continued. Stericycle and other medical waste companies will now no longer be able to dispose of the babies when the new rules go into effect. “We hope that this law helps our nation to see the humanity of the child in the womb and also helps women who are contemplating abortion to understand more fully the unique gift of a child,” Students for Life President Kristan Hawkins told reporters. The rule will not apply to women who suffer a miscarriage, and a death certificate will not be required for the children.